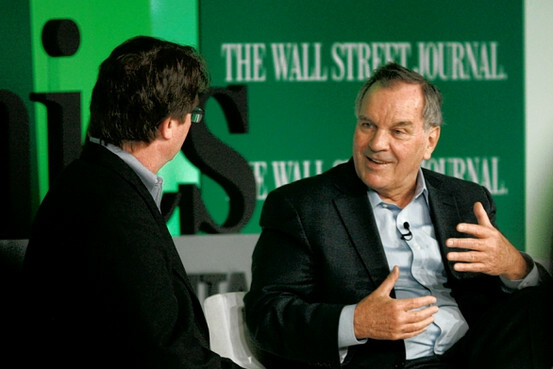 Former mayor Richard Daley is leading a new company designed to help cities save money on investments in infrastructure. It’s called “The Sustainability Exchange.” His investment firm, “Tur Partners,” launched the business. T.S.E. will give cities that participate a free analysis of their assets and potential projects, and will alert vendors when a city is planning a request for a proposal. Daley says the company is looking at energy efficiency, water treatment, waste management, and transportation. Five cities have already signed up to join. Original article can be found online. Did you miss TSE in the news last week? Check out the articles from the National Journal, Mother Jones, Atlantic Cities, Crain’s Chicago, Grist, Government Technology and Global Possibilities here: http://www.tsecities.com/content/news_. Richard M. Daley is learning from his mistakes – and successes – to help other cities innovate for the future. Richard M. Daley, who served six terms as mayor of Chicago from 1989 to 2011, was one of the first big-city mayors to focus on sustainable development. Some of his projects, such as the development of Millennium Park, flourished. Others are more likely to be remembered as flops—Chicago taxpayers may lose money on a solar-power deal Daley negotiated, and his administration spent millions of dollars on recycling initiatives that went nowhere. Two years after leaving office, the longtime mayor is using his hard-won experience to head up a new company—launched by his investment firm, Tur Partners—that will help cities pursue money-saving infrastructure investments. Cities that agree to join The Sustainability Exchange, or TSE, will get a free analysis of their assets and potential projects, and will share information with other member cities. TSE will alert vendors when a city is planning a request for a proposal. And because the company is low-profit instead of nonprofit, when a city or region decides to go ahead with a project, TSE will take a cut of the savings the city realizes over time. Five cities have already signed up to join the fledgling exchange, including South Bend, Indiana; Parma, Ohio; and New Orleans. National Journal‘s Sophie Quinton recently spoke with Daley and Lori Healey, his former chief of staff and now TSE vice chairwoman, about how their idea is taking shape. Edited excerpts follow. Why is there a need for something like The Sustainability Exchange? Daley: Everybody has problems with infrastructure. Whether it’s a port, rail, water, lighting, waste—this is part of the sustainability effort that we’re looking at. We’re looking at working with groups of cities to identify the project, raise the capital from the private sector as well as the public, and document the results. Healey: Most cities are not New York or Chicago or Los Angeles. They don’t have either the technical or financial resources to plan out and implement these kinds of projects. The Sustainability Exchange creates a platform that allows cities to come together to access national expertise in these areas—at no cost to them—with the goal of executing a transaction in a much compressed time frame. Is it fair to say that the exchange is focused on changes that will save municipalities money over the long term? Daley: That’s right. The areas we’re looking at are energy efficiency, water treatment, waste management, and transportation. What’s going on here other than the collection and sharing of data about city assets? Healey: We’ve started to bring together expert resources—including at Harvard and Arizona State University—to take that raw data and enhance it. So what you’re putting out to the private sector is so much better than a typical city RFP [request for proposal]: Here are my buildings, they have lights, tell me what I should do. It’s a much more specific RFP developed as a result of identification of needs. Daley: I think a lot of cities are afraid to invest. You spend a huge amount on the project, and then four or five years later, there’s a whole new project out there that’s going to save more money. Healey: Is it the best, most current of the technologies in the marketplace? We had one mayor recently tell us that he was on his third consultant for looking at a streetlight project—all private consultants for LED companies—and he had gotten three different recommendations. What’s an example of a project that the exchange could make possible? Healey: There are a couple of real-life examples. One is the purchase of LED street lighting. It would make sense for cities to work together within the same footprint of a utility company. That’s something that we help them with, to understand the regulatory environment. And then we bring cities together to take a look at separate transactions that, jointly, price like one. Another example happened just recently. In a morning meeting in Newton, Massachusetts, the mayor says, “We’re interested in anaerobic digestion; we want to do something in our community to recycle food waste.” We had the same meeting 30 minutes later in another suburb. Why would you do two or three anaerobic digestion plants when it would make sense to do one, with a documented feedstock from three separate communities? It becomes much more financeable and efficient. Will requests for proposal be broadcast through The Sustainability Exchange? Or will cities handle the solicitation process on their own? Healey: A combination of both. You have to incorporate and respect a city’s own requirements for procuring things. But you can also broaden the footprint for that solicitation. That’s the goal: to provide a bigger platform, on a national market, with independent expertise, to enhance their own capabilities. Will cities be able to finance these projects on their own? Or will there need to be public-private partnerships? Daley: It’s very hard for cities to self-finance. If it’s not a federal or state project, and you want to do it, you can receive a lot of private money. Healey: There is significant private capital committed to sustainability. But right now the market doesn’t have scale enough for them to be very involved at the municipal level. TSE is structured as a low-profit, limited-liability company, which allows it to accept investments from foundations and other private nonprofits. Why? Healey: We wanted, first of all, to be able to assure cities that this isn’t just another business that’s looking to make money. It allows us to accept PRI [program-related investments] income from foundations around data enhancement and data enrichment. And because it’s low-profit, any percent savings that comes back to the Exchange goes back into building the library of best practices. Will there be adjustments to the TSE model as more cities get involved? Daley: I think we’re still in the process, trying to figure out what works and doesn’t work. As we talk to mayors and the research people and universities, they’ll see things. It’s a learning experience for us. We don’t have all the answers, and that’s why we’re meeting with quite a number of people to really solidify the whole idea of this exchange. Healey: We’ve had inquiries from over 50 municipalities at this point. We’re in heavy discussions with 12 to finalize the relationship with them. I anticipate that we’re going to have more. Original story can be found online. They cost more now, but light-emitting diodes are shining brighter and lasting longer than traditional light bulbs. LED bulbs can last up to 25 times longer than traditional 40- and 60-watt bulbs. Inefficient 100-, 75-, 60- and 40-watt bulbs won’t be sold in the U.S. after 2014. Forecasters say LED prices will drop as the technology improves. If the next light bulb you buy is an LED, it may be your last. The technology behind light-emitting diodes has advanced to the point that the bulbs can replace traditional 40- and 60-watt light bulbs and last up to 25 times longer. “You’re going to see people say, ‘I’m taking my light bulbs with me to my new home,'” says Bill Nottingham of Nottingham Spirk, a Cleveland-based industrial design company that’s working on LED lighting technology. Traditional light bulbs are on the way out. The U.S. mandated a phaseout of the most common wattages of incandescent bulbs; inefficient 100-, 75-, 60- and 40-watt bulbs will not be sold after 2014. And the future looks bright for the LED market. Now old-school manufacturers like GE and Philips and younger players like Feit Electric, Cree and Elite are battling it out for shelf space in the lighting sections at big-box stores. WHAT’S WRONG WITH MY OLD BULBS? Dating back to Thomas Edison, incandescent light bulbs mostly produced heat instead of light. Over the last two decades, halogens and compact fluorescents have improved the energy efficiency of bulbs. But they’re no match for LED technology. LEDs last up to 10 times longer than compact fluorescents while providing the same amount of light. And, unlike other bulbs, LEDs put off only a small amount of heat and rarely break. In a word: price. While an eight-pack of incandescents costs about $3 at the local big-box store, a single LED bulb can cost between $20 and $50. The high price tag may make it too expensive to outfit your entire home with LEDs at once. But while you’re making the switch, test out bulbs from different manufacturers to see what works best for you. Know that LEDs are getting better and cheaper all the time—and, no matter the price, they’re a good investment. They’ll save you money on your electric bill and the cost of buying new bulbs. Plus they open you up to some neat uses of wireless technology: Imagine dimming your lights from an iPhone app instead of a wall switch. “LEDs are ‘chip-on-board’ products; you can control LEDs without even using a light switch. [You’ll be able] to turn your lights on and off remotely. You can decide what type of light temperature you want in your home. This is the next generation,” says Mark Voykovic, The Home Depot light bulb expert. This article is excerpted from USA TODAY Green Living magazine. The special publication contains articles on sustainable living, green products, DIY projects, and people and companies helping to save the planet. Get an eco-friendly version for your tablet or computer at zinio.com/usatodaymags. As more people pack into cities, the environmental risks are growing—and so are the calls to make urban areas greener. What’s the best way to tackle this job? And how can leaders navigate the challenges? Richard M. Daley was mayor of Chicago as it undertook an ambitious program to make the city greener. Here are edited excerpts of his remarks. You have to ask, what’s your responsibility to the city? First of all, cleanliness. Picking up trash. AeroFarms won last year’s ECO:nomics vote for most cutting-edge, eco-friendly company. Now CEO David G. Rosenberg talks was WSJ’s Alan Murray about how his company has progressed in the last year. After that, you start doing landscaping, basically planting trees, which is important to the air quality. You get people who have not worked involved in this effort through a re-entry program. You also have to explain why you’re doing it. When we started the effort in Chicago, the media said, “Why are you spending this money on trees? You’re just beautifying the city.” You have to explain to them how environmentally important that is. Then you have to have the city lead by example. Usually, government mandates everybody else to do it and exempts themselves. We said, we’re going to start being a green government. All public buildings are basically built with the U.S. Green Building Council. We also have a green center of technology to educate developers, architects, engineers, contractors, trade associations and unions. There’s also permitting. If you’re going to build green, give them a special permit to do that as quickly as possible. You also look at the water situation and conservation. The public doesn’t always understand sustainability, but they want somebody to lead on it. And from my experience, we don’t have a national plan for the environment. It’s basically the city and the private sector or not-for-profits. And as you do all this, you need the business community to become your advisers and to work with them. They have to be part of the solution, the same as with the not-for-profits and citizens. There always has to be that. Government cannot do all of it alone. We should have a commission representing federal, state and local governments, and the business community. You would need a three-quarters vote to make decisions. And where does the money come from? Look at offshore profits that companies are making. Bring them back at a 5% tax. Then say that the companies are going to contribute 15% into an infrastructure fund each year. At a national level, every company. And then X amount of money will come from local and state governments. You also look at the rules and regulations that are involved to see if you can save money there. Let’s say you’re doing a water and sewer project, not just in Chicago but including Indiana and Wisconsin. Let’s say one of those areas has certain laws, rules and regulations that cost more money than anyone else. Maybe it just costs more money and doesn’t get you better safety or better efficiency. So you can cut down the cost of the project by looking at that. A version of this article appeared March 26, 2013, on page R2 in the U.S. edition of The Wall Street Journal, with the headline: How to Build a Green City. The Science Barge is a floating environmental education classroom and greenhouse on the Hudson River in New York. Fueled by solar power, wind, and biofuels, the barge, which was built in 2007, has zero net carbon emissions. Vegetables are grown hydroponically—with plants getting all of their necessary nutrients from water instead of soil—in an effort to preserve natural resources and adapt to urban environments, where healthy soil, or soil at all, is hard to come by. Rainwater and treated river water are used for irrigation, and pesticides are prohibited. The original owner of the barge—New York Sun Works—designed it as a prototype for closed-loop and self-sufficient rooftop gardens in urban areas. Thousands of schoolchildren and adults have visited the barge, which is now operated by Groundwork Hudson Valley and docked in Yonkers, just north of New York City. Complete listing of 10 green-tech city solutions can be found online.